Look what I found in my lingerie drawers! (OK, one of my lingerie drawers.) 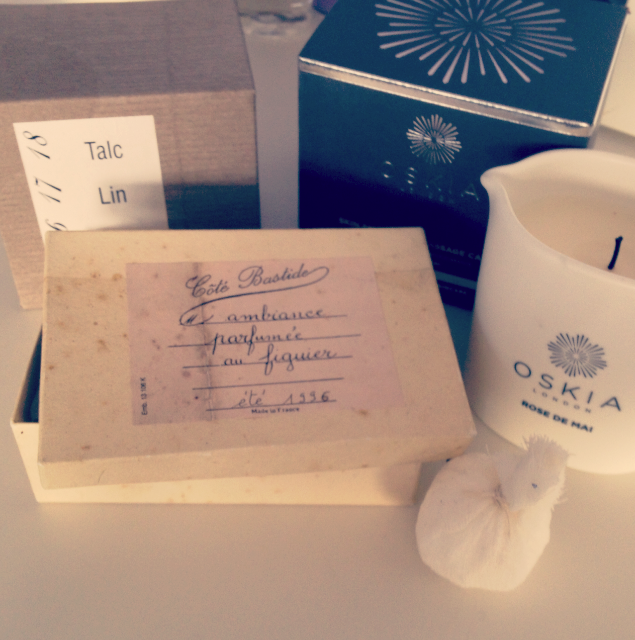 A selection of pretty things – what a nice surprise! The two boxes on the left contain French Talc and fig-scented bath “bombs” – little sacks of fabric that fragrance the bathwater beautifully. Or they did, they’re quite old now so I don’t know whether they will still be effective! Previous Post A Chat with my Colourist!